Robert has worked for nonprofit organizations in partnerships with Chicago public high schools on the city’s South Side. 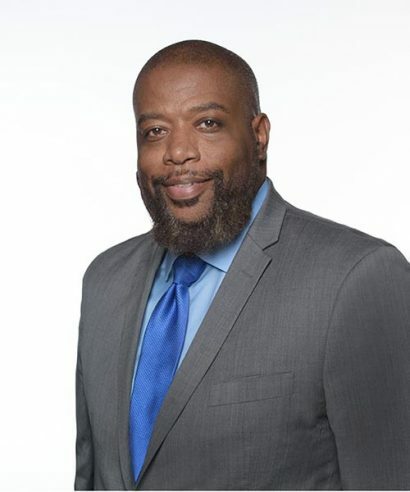 He also has worked served as an education coordinator for the Museum of Science and Industry in Chicago and in workforce development in Indianapolis as general manager of WorkOne locations. A native of Gary, Ind., Robert gives credit to his teachers in the Gary Public School Corporation and to his mother for working together to create a path, allowing him to receive both his undergraduate and graduate degrees from Indiana University. A recent graduate of the master’s program at Indiana University’s Lilly Family School of Philanthropy, Robert hopes to use his understanding of voluntary association for public good to enhance the collective impact work of StriveTogether. In his free time, Robert likes spending time at museums and cooking with his 4-year-old son, Noah. He studied improv comedy at The Second City of Chicago’s Conservatory and is also a die-hard Chicago Cubs fan. Forgive him if you catch him pinching himself from time to time — he is only checking to see if the World Series really happened. He is based in Indianapolis, Ind. Third baseman for the Chicago Cubs. My favorite teachers are Mrs. Garner (fourth grade) and Mrs. James (ninth-grade English). They both prepared us to believe in ourselves as students. Throw me in the water until I swim like the rest. “Education and Equality” by Danielle Allen.